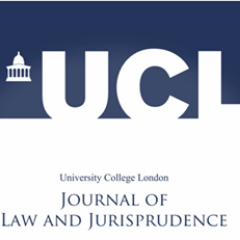 The Editorial Board of the UCL Journal of Law and Jurisprudence is pleased to call for submissions for the second issue of 2017 on the theme of ‘Crisis and the Law’. Submissions could be theoretical, doctrinal or aimed at practice. Concretely, the Journal seeks to publish pieces that either articulate the concept of crisis within the law or how the law deals with current crises. Articles which challenge existing boundaries in law or jurisprudence or how legal institutions work and are shaped by crises are also welcome. We accept articles of between 8,000-12,000 words, case notes of 6,000-8,000 words and book reviews of 1,000-2,000 words. All submissions must comply with the Oxford University Standard for Citation of Legal Authorities (OSCOLA). Contributions that have already been published or that are under consideration for publication in other journals will not be considered. The deadline for submissions is 14th April 2017. Manuscripts must be uploaded via the submissions section: http://ojs.lib.ucl.ac.uk/index.php/LaJ/about/submissions.